This pen is like a Jotter on steroids. While I like Jotters, I ended up liking this pen better. It comes with a standard medium tip with blue ink -- the ink is on the redder side of blue (while Jotters are more on the green side of blue), flows smoothly without blobbing, and barely needs any pressure to write. The clip has a good spring to it and the clicker at the top works well and doesn't jiggle or rattle. I also like the matte finish on this pen. My only complaint is the proprietary refills; with G2 refills, you have more options when you want to refill your pen. With these, you have the option of Sheaffer refills (as I mentioned above, very nice) or Monteverde refills (which I find far inferior). It's a lovely writer and sits nicely in the hand. The Strobe Silver finish looks very classy and elegant. The Pen Company delivered really quickly and the pen was well wrapped - great service! A lovely pen to hold and writes well. Great to give someone as a present as nicely presented in box. 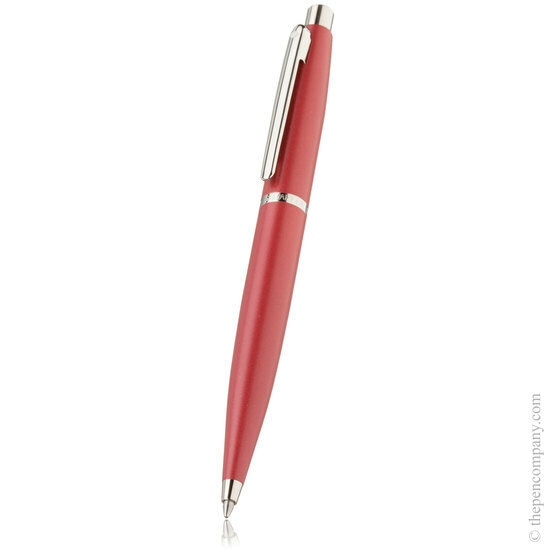 I was very pleased with the pen, it came very well presented and would have be a very good present. The delivery was quick and efficient and I am very pleased with the service received. Lovely little pocket pen, lays down a solid line of ink, glides along the page, and feels perfectly weighted in the hand. Would purchase again! Was very pleased with the pen I ordered, it came very quickly and was securely wrapped. As this was a gift for my brother I am grateful the speedy way this transaction was dealt with. My daughter asked for an orange Filofax and I thought an orange pen would set it off nicely . My daughter is very pleased with her gift. The pen company gave excellent service - good delivery time and the pen arrived in perfect condition. The VFM is supplied with a medium blue refill as standard. 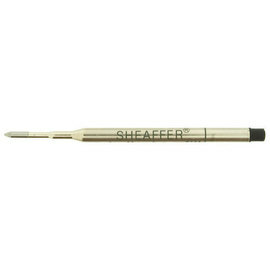 The pen uses the Sheaffer 'K' ball pen refill which is available in black and blue, in medium and fine widths.